Worcester have won 80 rucks so far this game. Nizaam Carr has made 10 good tackles so far this game. What a run here by Tom Howe as they gets over the gainline!. Wasps have won 100 rucks so far this game. Andrew Kitchener has made 10 good tackles so far this game. Cornell Du Preez has made 10 good tackles so far this game. Ryan Mills has made 10 good tackles so far this game. 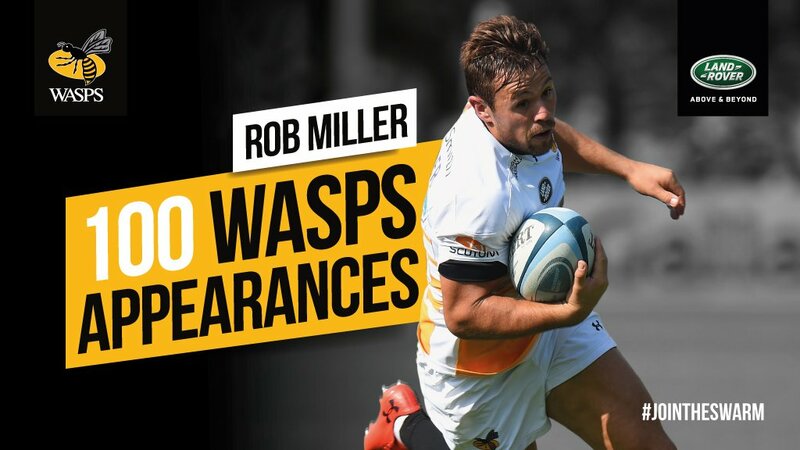 Rob Miller comes on for Wasps. Lima Sopoaga leaves the field. Marcus Watson makes the break as the defence re-enacts the parting of the red sea. Wasps have won 80 rucks so far this game. There wasn't enough power on that penalty goal attempt by Elliot Daly as it drops short of the posts. Juan De Jongh comes on. Wasps decide to make a substitution, with Ben Morris getting some game time. 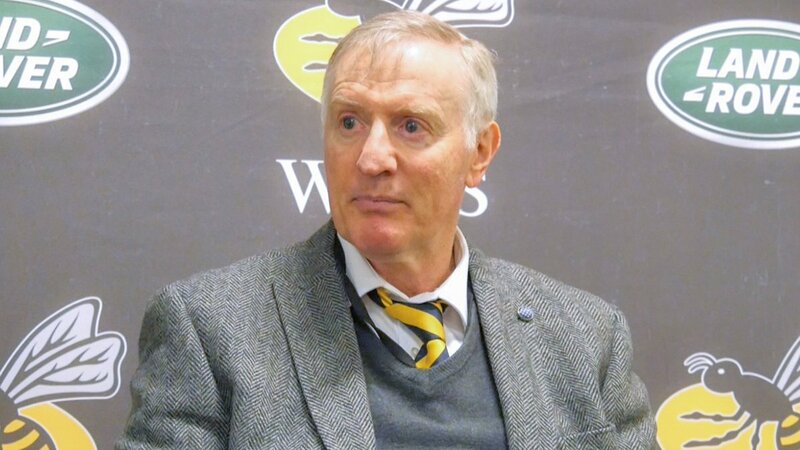 Wasps decide to make a substitution, with Brad Shields being replaced. Worcester make a substitution with Michael Heaney coming on. Worcester make a substitution with Duncan Weir coming off. 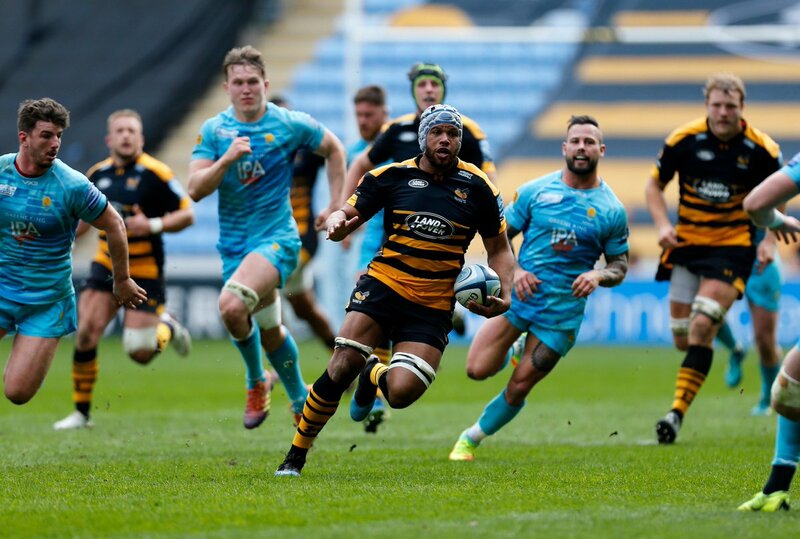 Lima Sopoaga adds the two points for Wasps. A wonderful passing move by Wasps is finished off by Nathan Hughes. 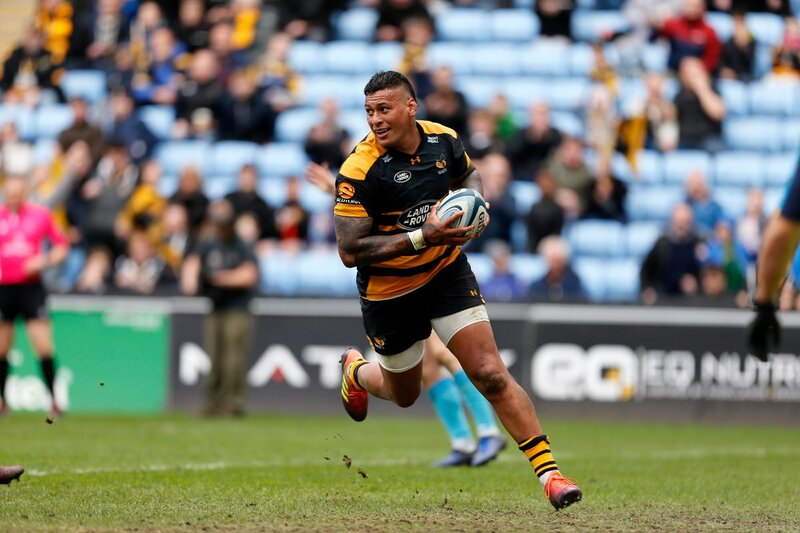 Fabulous play by Wasps has led to Nathan Hughes being able to wriggle through a gap. Trouble here as Marcus Watson breaches the defence. Wasps have won 60 rucks so far this game. This is dangerous for the defence as Ashley Johnson bursts through to advance the Wasps attack. Worcester sub Gareth Milasinovich comes onto the field. Simon Kerrod departs for Worcester. Marco Mama has made 10 good tackles so far this game. Darren Barry has made 10 good tackles so far this game. Simon McIntyre comes on for Wasps. Zurabi Zhvania leaves the field. Joe Simpson has made 10 good tackles so far this game. Sam Lewis has made 10 good tackles so far this game. Worcester have won 60 rucks so far this game. Cornell Du Preez comes on. Worcester decide to make a substitution, with Ethan Waller getting some game time. Worcester decide to make a substitution, with Callum Black being replaced. Worcester make a substitution with Francois Venter coming on. Worcester make a substitution with Josh Adams coming off. Worcester sub Simon Kerrod comes onto the field. Gareth Milasinovich departs for Worcester. Andrew Kitchener comes on for Worcester. Anton Bresler leaves the field. Chris Pennell makes no mistake with that penalty goal attempt. A gap opened in the defence and Josh Bassett took full advantage. The touch judges have waved away the attempt by Lima Sopoaga as he hooks it left. Wasps have won 40 rucks so far this game. The defensive line has been broken as Chris Pennell goes through the gap. Duncan Weir kicks the penalty. What a run here by Josh Adams as they gets over the gainline!. Nizaam Carr makes the break as the defence re-enacts the parting of the red sea. 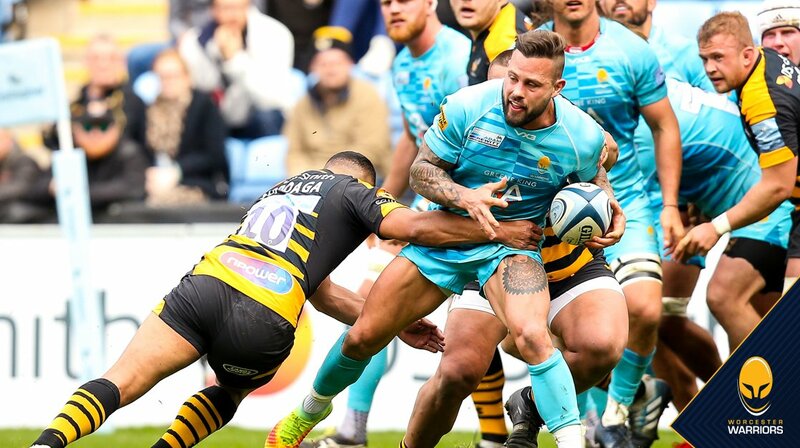 Gaby Lovobalavu (Wasps) is shown a yellow card. Fabulous play by Worcester has led to Chris Pennell being able to wriggle through a gap. Worcester have won 40 rucks so far this game. Joe Launchbury has made 10 good tackles so far this game. Duncan Weir does the business as his conversion attempt goes over. The Worcester pack has powered over for Sam Lewis to score the try. Trouble here as Tom Howe breaches the defence. Worcester have won 20 rucks so far this game. Wasps are only a few metres out, surely they must score! And they do with Zurabi Zhvania touching down. Wasps have won 20 rucks so far this game. This is dangerous for the defence as Josh Bassett bursts through to advance the Wasps attack. That's a great try assist by Willie Le Roux. 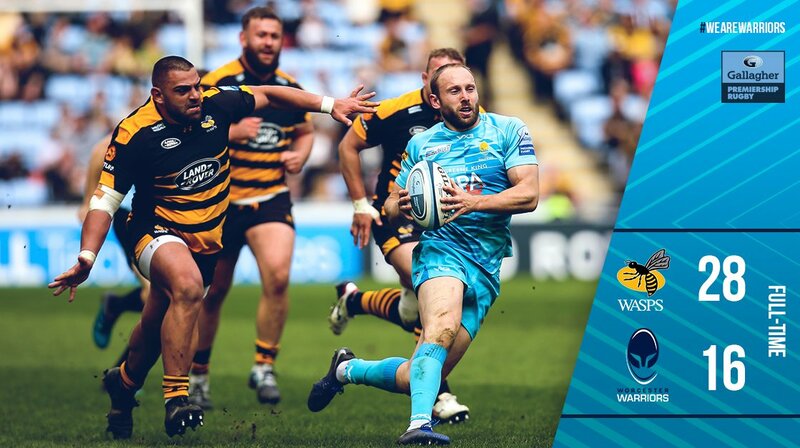 A series of passes by Wasps results in a try for Marcus Watson. A gap opened in the defence and Marcus Watson took full advantage. Nizaam Carr sets up the try. Great hands by Wasps leads to a try for Nathan Hughes. Duncan Weir has kicked a penalty goal. The defensive line has been broken as Sam Lewis goes through the gap. Duncan Weir steps up to take the penalty but pulls it wide and to the left. 4⃣ HUGE @premrugby matches left this season 3⃣ of them at home. Get behind Warriors! His brother just got a red card, but that's the least of his issues. 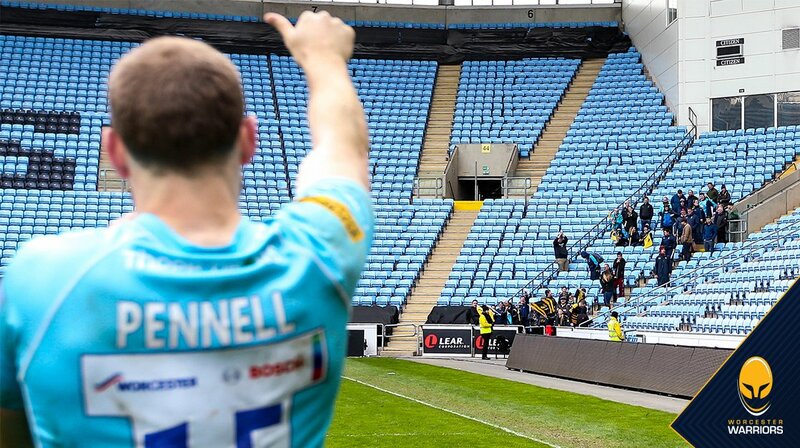 👍 Thanks to those who made the trip to Coventry today! Let's finish on a big high!